Ah, summer! I love it. Call me crazy, but something about those 90 degree temperatures just makes me happy. However, enjoying the baking heat doesn’t mean that I ignore the reality of the climbing thermometer. Far from it. Part of the enjoyment of summer is knowing how to keep comfortable. I stay just cool enough by having something refreshing close at hand. One of those things is a pitcher of fruit infused cinnamon water, which is made even more delicious with the addition of apple, sage, and lemon. Another refreshing thing I like to have stocked in my freezer is Outshine® Bars. They come in a colorful variety of flavors, including strawberry, coconut, peach, blood orange, and many more. There are even some new flavors to try such as Fruit & Veggie, Coconut Waters™ and Simply Yogurt Bars. Outshine® is running neat contest right now, too. You could win a $5,000 backyard refresh from Outshine® plus hundreds of daily summertime prizes you could win instantly. Text “Snack Brighter” to 30364, or enter at walmart.com/outshine. 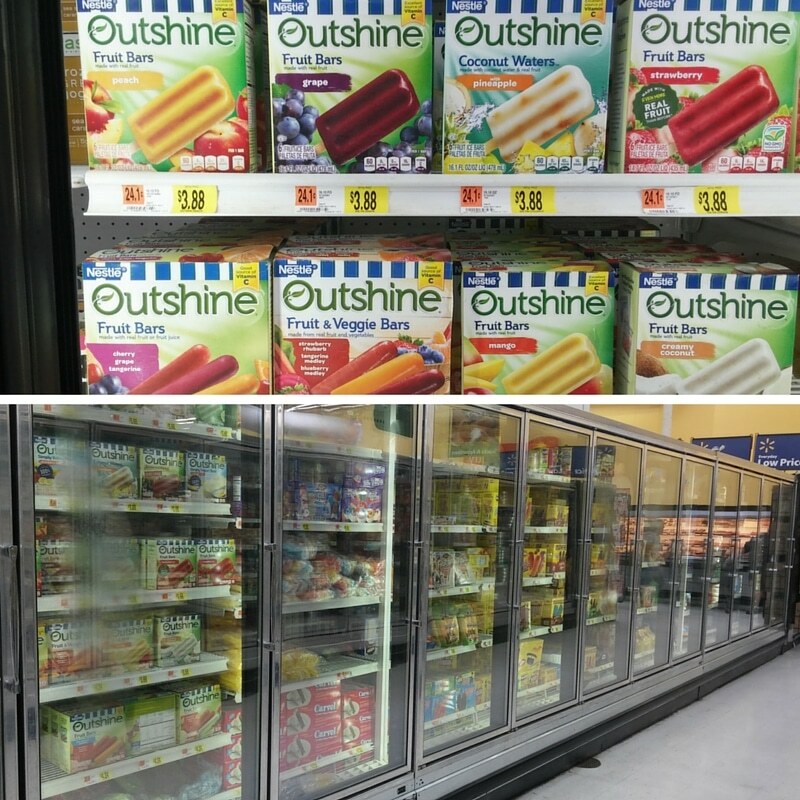 I picked up my Outshine® Bars at Walmart in the frozen foods section. You can sample Outshine® Bars- made with real fruits, veggies and juice- for yourself at upcoming demonstrations at Walmart. 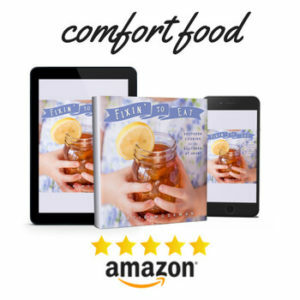 If you’re like me, you’ll appreciate that they’re made with no artificial colors or flavors, and the ingredient list contains simple, recognizable ingredients. So, where might you celebrate the summer? You’ll find me in one of several places. 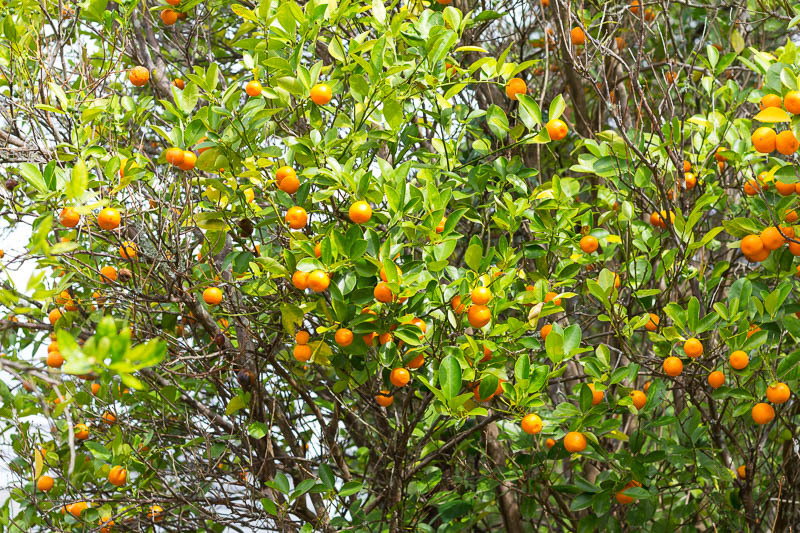 I might be on my back porch, swinging in the hammock, or I might be out in the yard, picking kumquats or checking on the grapefruit tree. Or, I might just be sitting on the garden bench, admiring the orchids that finally managed to bloom after winter nearly killed them off. Regardless, I’ll have a glass of fruit infused cinnamon water at my side, and a frozen Outshine® Bar in one hand. I highly recommend that you track down true Ceylon cinnamon. Most of what’s sold in grocery stores is not cinnamon, but actually another plant called cassia which does not have the same taste or properties as true cinnamon. I buy mine in bulk online because I use it so much. Don’t be afraid to get creative. Mix up different fruits and unexpected herbs to make different flavors! Make it festive. I find drinks ever so much more satisfying when I serve them in a fancy glass with a garnish or two. Make a simple and refreshing cinnamon water with this fruit infused cinnamon drink recipe. Apple, sage, and lemon add delicious flavor! Cut the apples into slices. Place them in a bowl and drizzle with lemon juice, then toss to coat. Sprinkle on cinnamon and toss again to coat. Gently bruise the sage leaves to release the flavor. 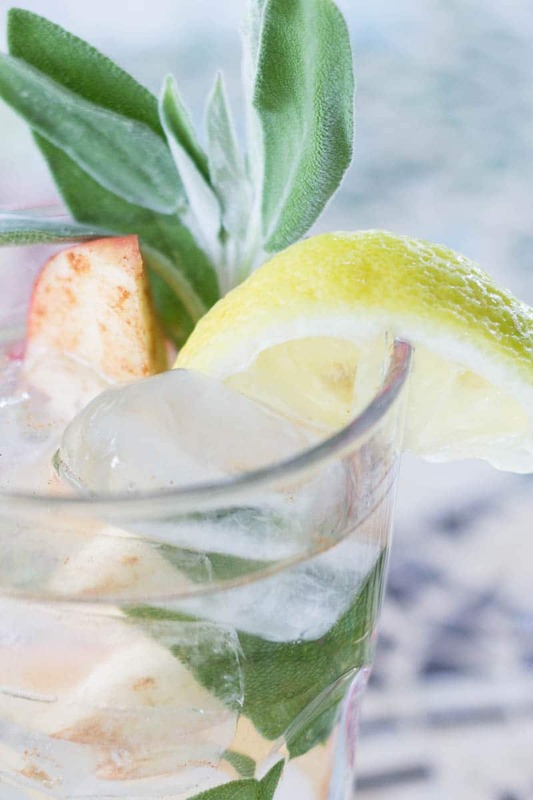 In a pitcher or in individual glasses, layer apple slices, sage leaves, and ice. Pour chilled water over and enjoy! 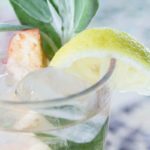 I’ve never thought of adding cinnamon and sage to water before, but I have to admit that it sounds thirst-quenching! What a delight to have a grapefruit tree in your backyard! 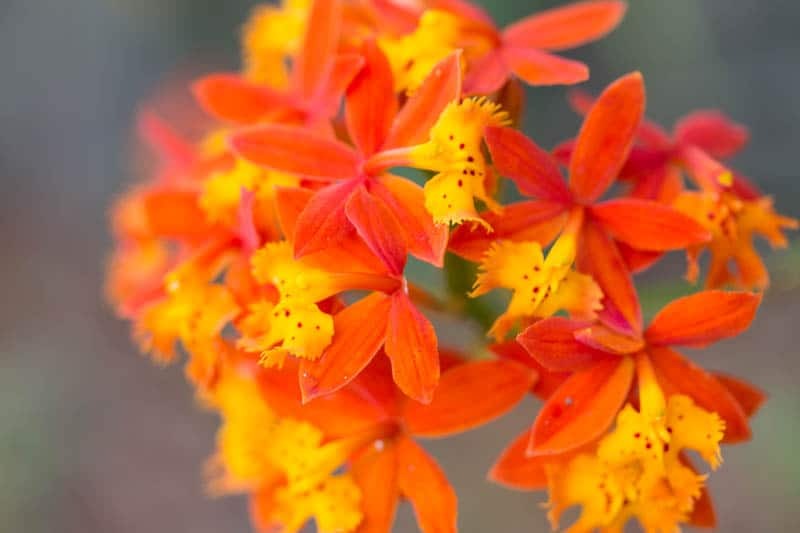 Also, I would be outside all of the time in summer if I had orchids in my garden! We have a grapefruit tree and a kumquat tree. I am not a gardening person by any means, but my mother (who has an amazing talent with plants) brings me plants that will flourish without much tending. Cinnamon water! Yum! I am so trying this for my water at work. What a treat. 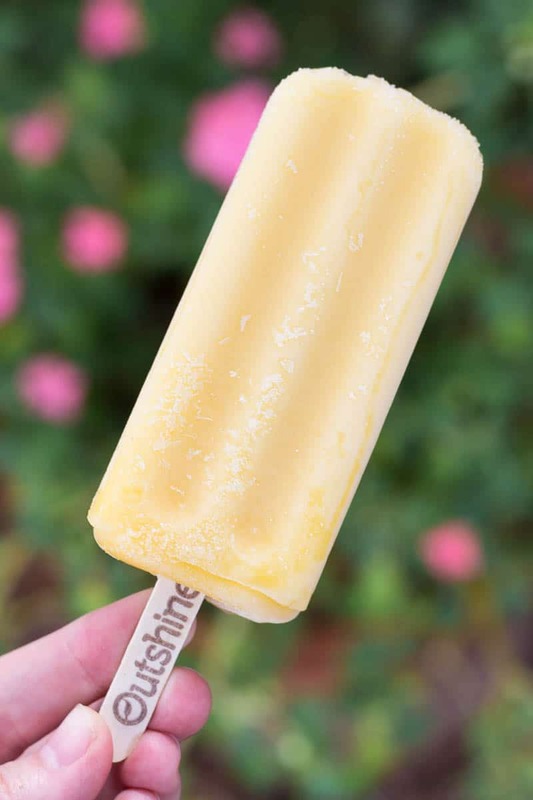 We always have these outshine bars on hand in our freezer, perfect for summer!!! It is a nice way to refresh, for sure! I bet the cinnamon water smells so good. I love infusing my water with different fruits, but I have not tried adding cinnamon. I really should try this. The yogurt bars look amazing as well. It adds a nice touch of flavor. Not too strong, but just enough. 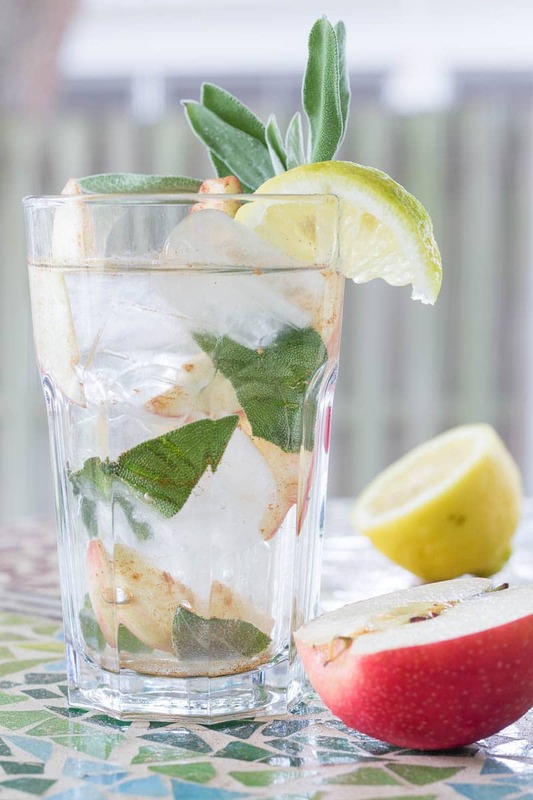 This Cinnamon Water with Apple, Sage, and Lemon sounds delish! I’d never thought about adding cinnamon to my water, let alone sage! And cinnamon is good for you for so many reasons! They next time I make some infused water I’m definitely going to add apples and cinnamon! This treat looks absolutely amazing! I love flavored water, it just adds that special kick that quenches my thirst much better than just regular water. Plus, I feel a little fancy when I drink it! I would have never thought of this flavor combination! Thank you! I’m glad it looks good! The Cinnamon water will be my best buddy in work out. I usually add lemon and honey on my water. Now I can mixed it with other fruits like apple for more taste. The fruit bar is our favorite desert esp. on pool party. A pool party sounds lovely with these! 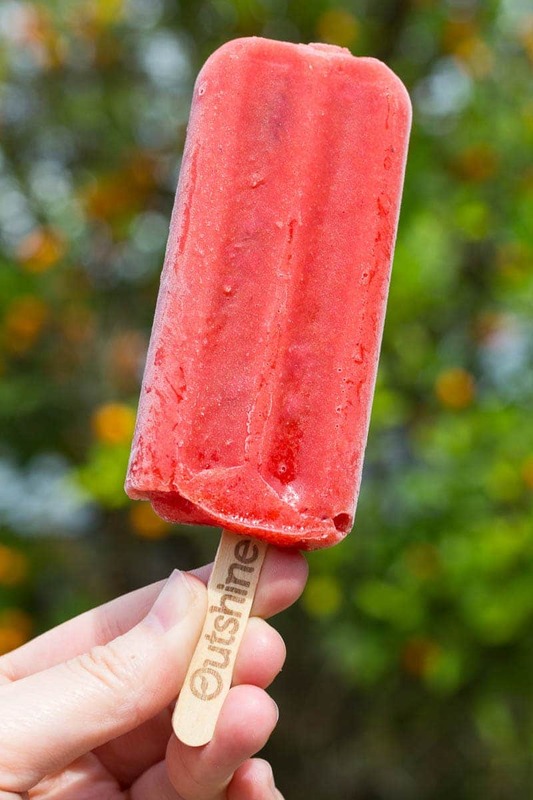 My kids love outshine Popsicle so we always have about two boxes in our fridge. They are happy and I love that they are getting their veggies at the same time. The cinnamon water sounds amazing I will have to give it a try soon. 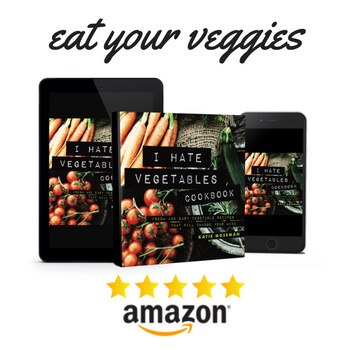 The veggie thing really appeals to me, too. 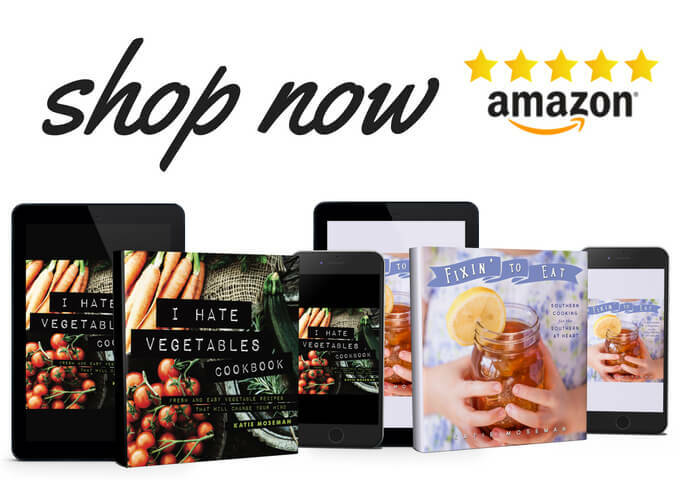 I always reach for veggie blend products! This drink can be detoxifying, relaxing, and calming all at the same time. I’m thinking to have it as a hot tea in a lazy, warm afternoon. Love the taste of cinnamon! Oh, I’ll have to try it hot some time! I have a huge glass of water with fresh lemon every morning as soon as I get it. Funny that I’ve never thought to put cinnamon in it…since I LOVE cinnamon!! What a great combo of flavours! Sounds very refreshing and a good way to start the day!